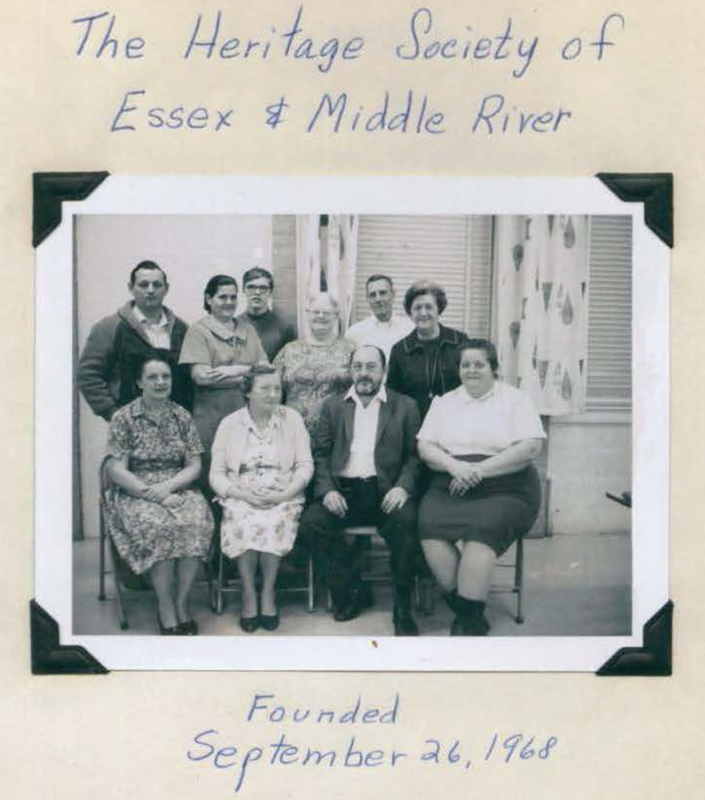 The Heritage Society of Essex and Middle River would like to thank Mr. Roger Dahlin for sharing his family’s history of the Essex Candle Company with us. Frank “Bude” Spaeth Jr. and his wife Hazel. 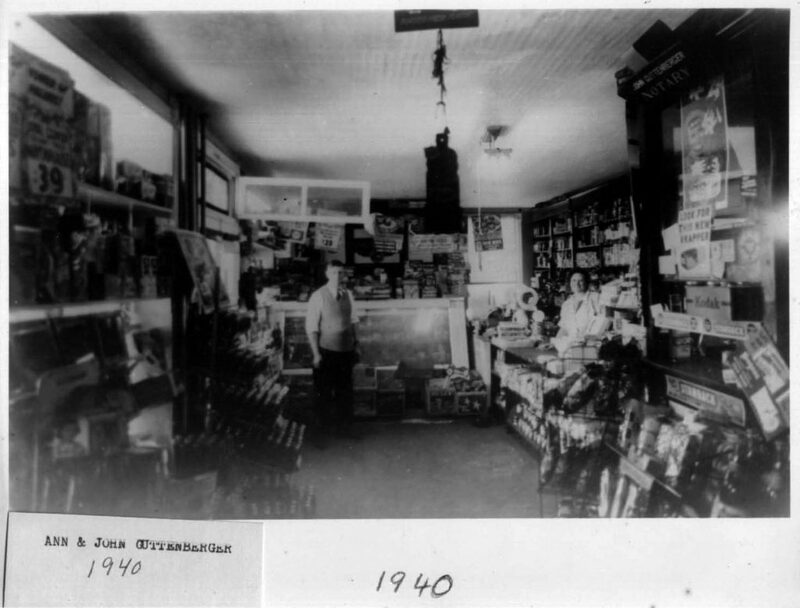 Hazel (Stivers) Spaeth, Roger Dahlin’s aunt, donated the candle company to the Essex Heritage Museum. 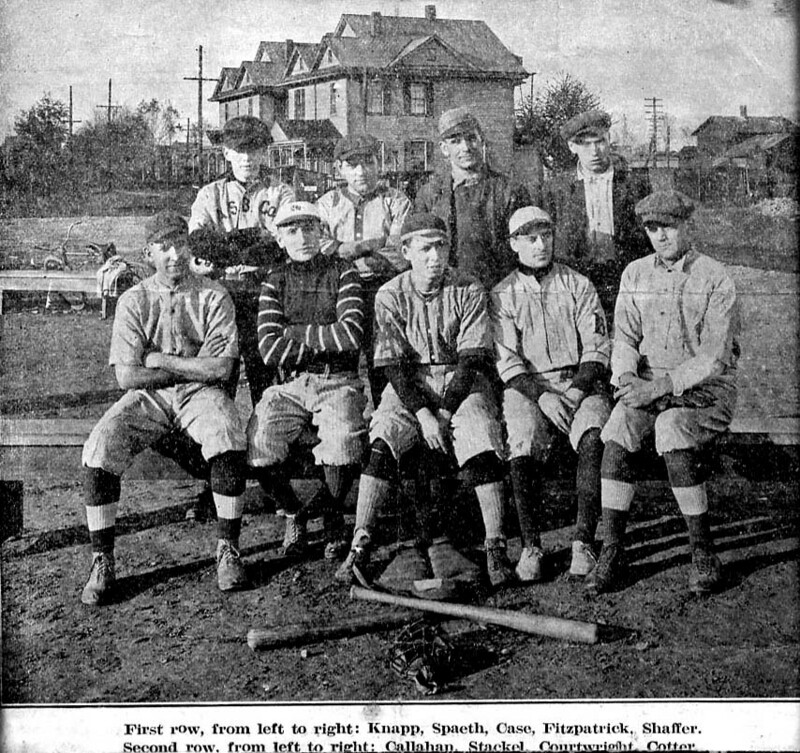 “Bude” Spaeth is second from left in this early baseball photo. Early family photo. 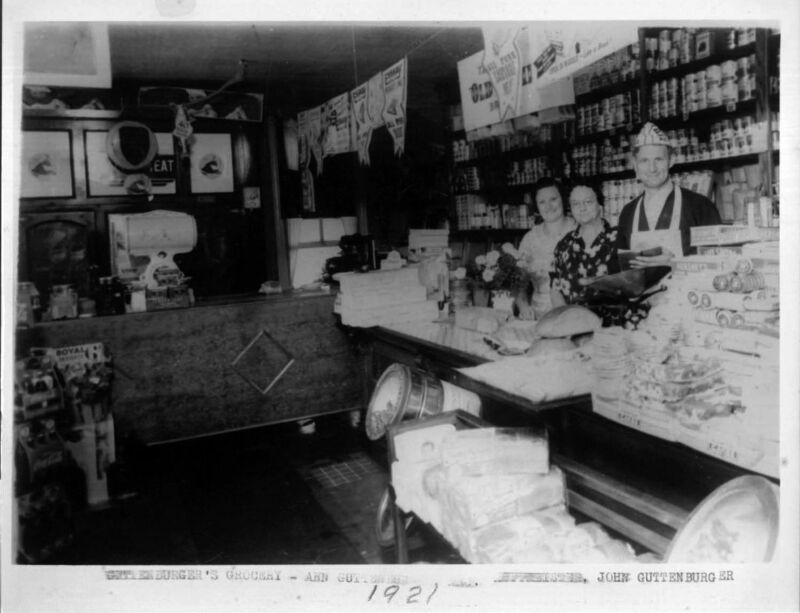 Frank Jr.”Bude is standing in rear. 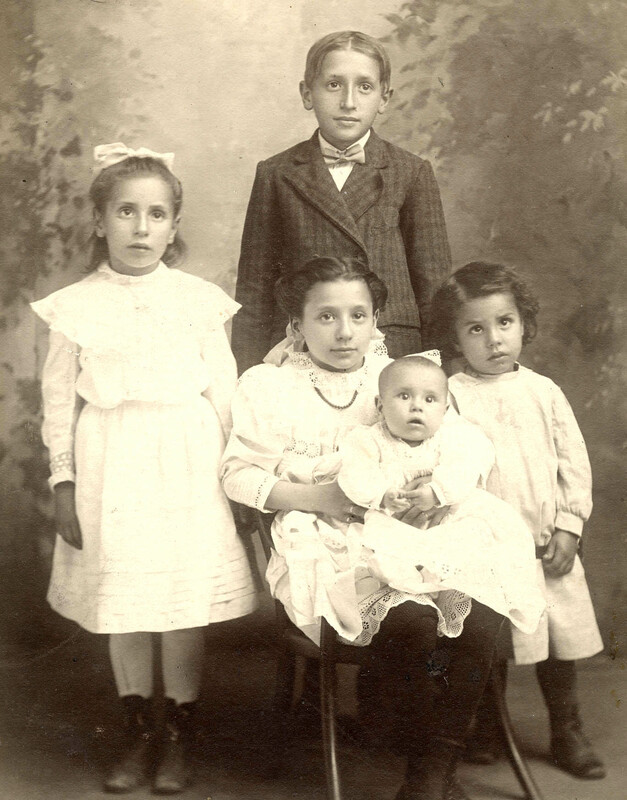 On the far left is Grace (Spaeth) Dahlin who was the mother of Roger Dahlin who archived this family history for the Heritage Museum. 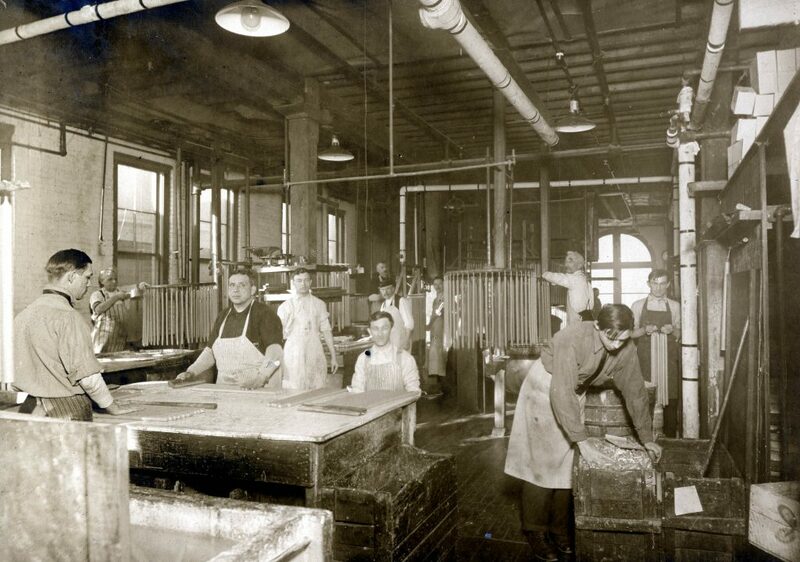 Bude’s father Frank Spaeth Sr. working as a candle maker at the Will & Baumer Candle factory in Syracuse NY, about 1900 He is at the table looking at the camera wearing a dark shirt and apron. 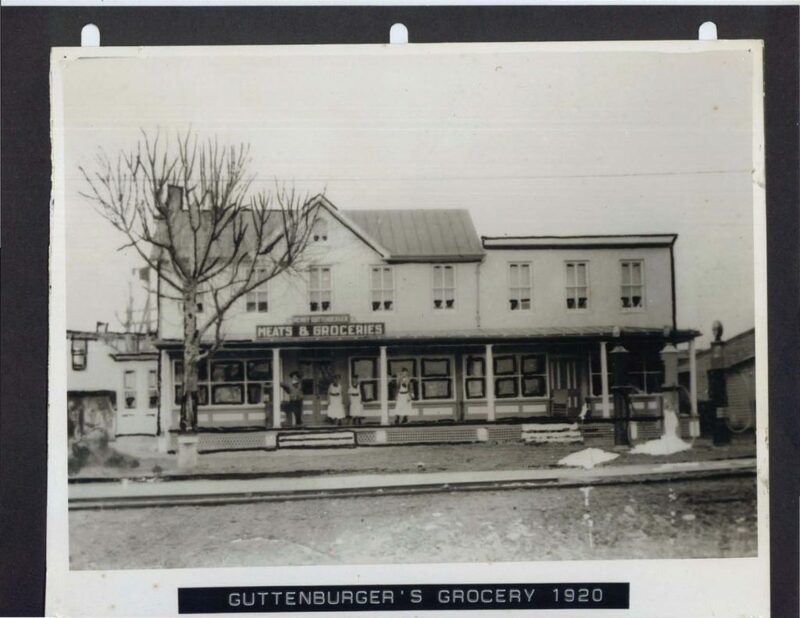 Bude also worked at Will & Baumer. 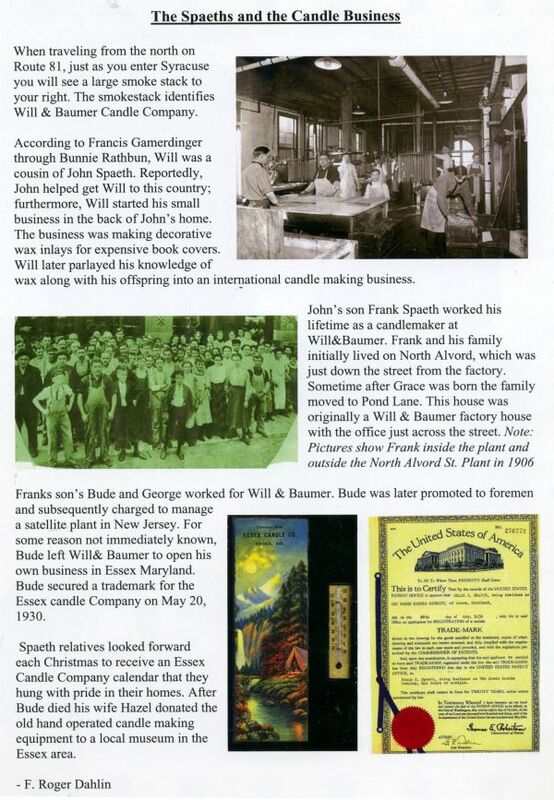 For nearly 40 years, Frank and Hazel Spaeth made candles in Essex. 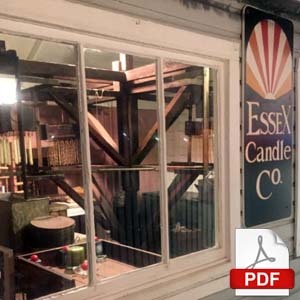 Located on Helena Avenue, the Essex Candle Company was in business from 1933 to 1969. 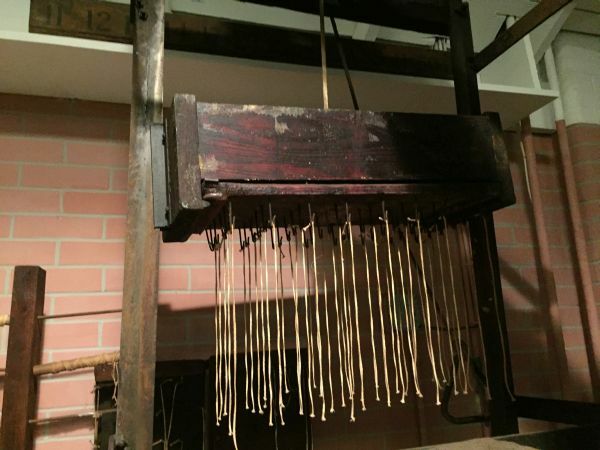 Manufacturing handmade dinner candles and handmade drip-less candles which are called tapers, it was a family-owned wholesale business which sold candles in Maryland, Virginia and Washington, D.C. 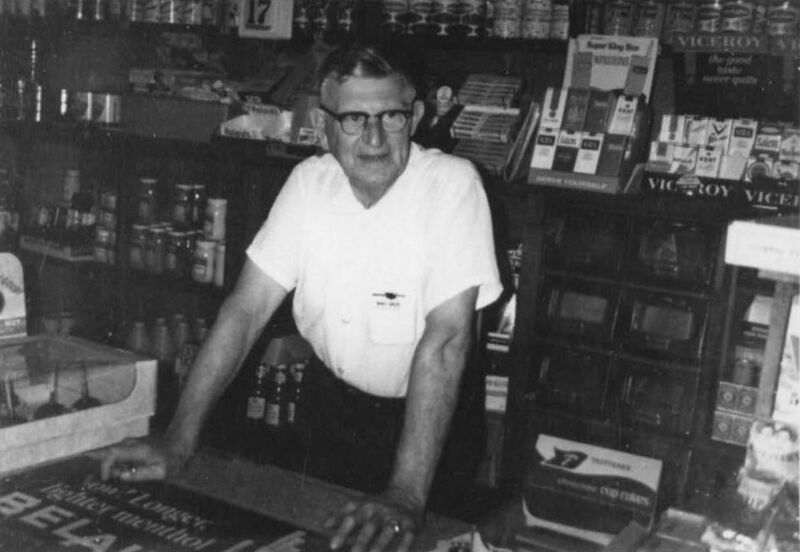 Originally from New York, Mr. Spaeth worked for the Will and Balmer Candle Company in Syracuse, New York. It was here he met his future wife Hazel. Later, he went to Newark, New Jersey to start a candle factory. 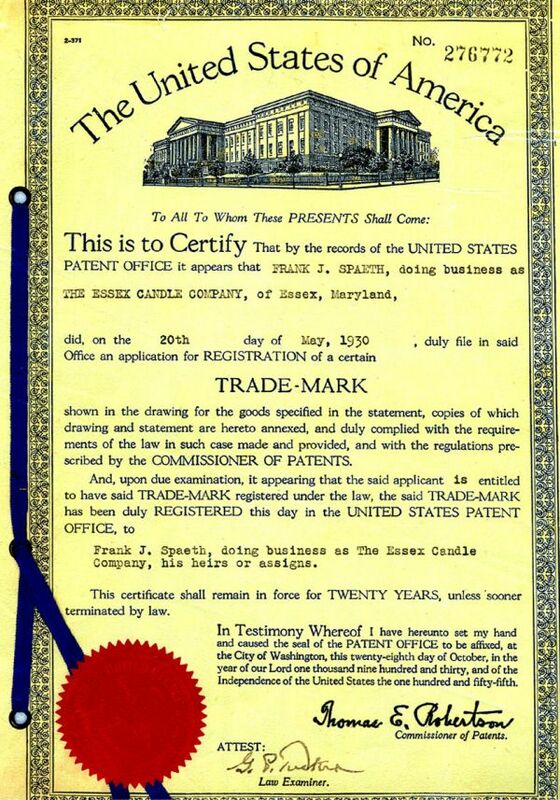 In 1926, Frank came to Baltimore to work for the A. Cross Candle Co. Hazel came to Baltimore that same year and the two of them were married. Mrs. Spaeth liked Baltimore very much. 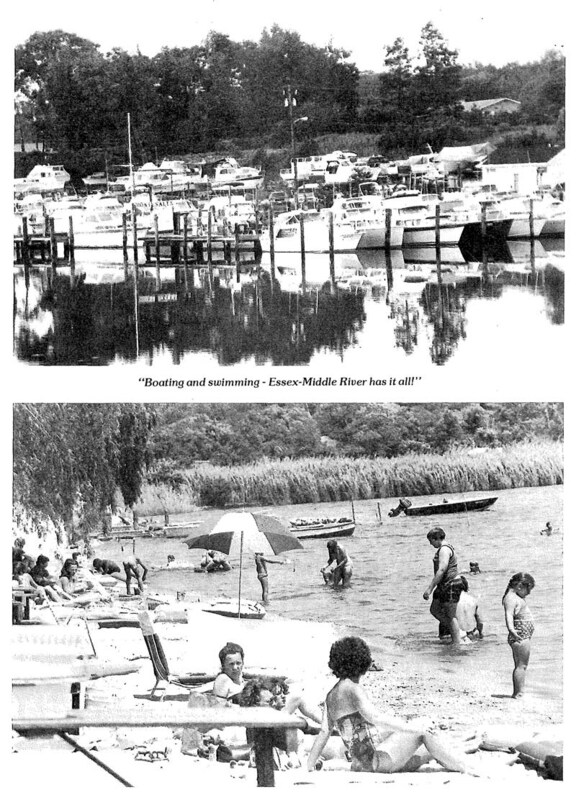 “I think the people here are real friendly; I don’t think either of us wanted to go back (to New York),” she commented. 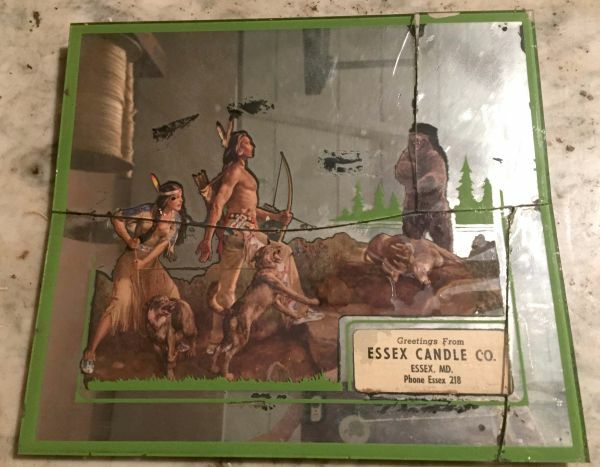 Although very few candles were sold in Essex, the Essex Candle Company was a booming business. 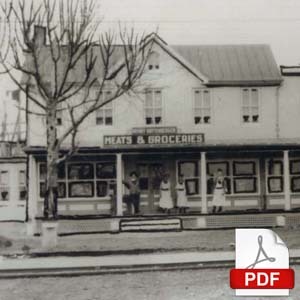 According to Mrs. Spaeth, “We could not make them fast enough.” This was true considering some of their clientele. 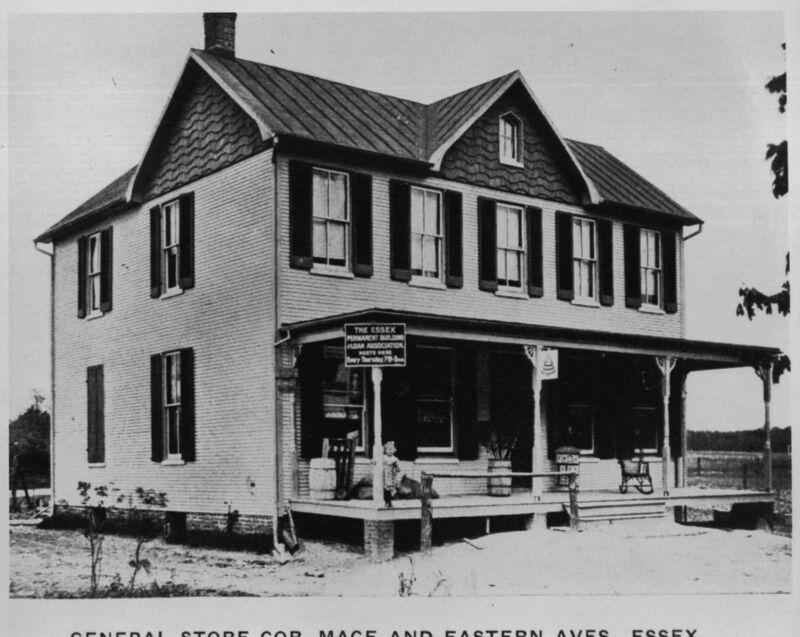 The Essex Candle Company supplied candles to Hutzler’s Department Store; O’Neill’s Department Store; the May Company; and the Emerson Hotel in Baltimore and the Adams Company; Garrison’s; and the Mayflower Hotel in Washington, D.C. 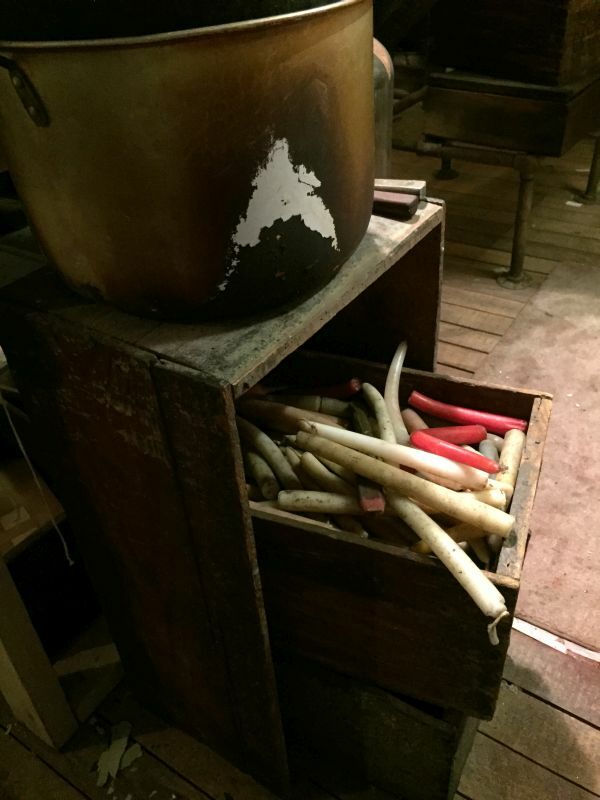 The only church that bought candles from the Essex Candle Company was St. John’s Lutheran Church. Mrs. Speath said that there were a number of Catholic churches in Baltimore but none of them bought candles from their shop because at that time Catholic churches could only use candles that were made from 100 per cent bees wax. This ruling was later changed. 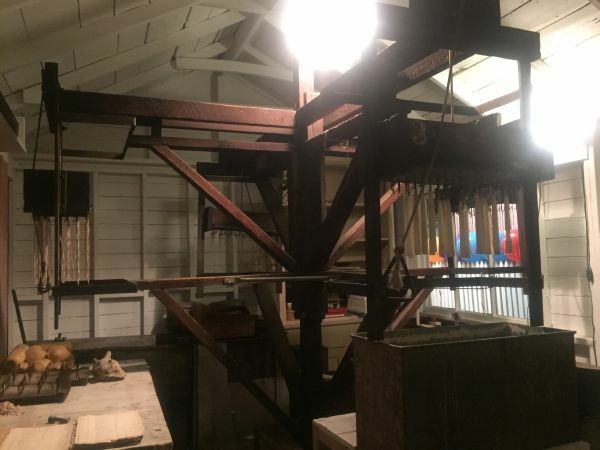 Fred added, ‘The machine had four slides that revolved over the large tank of paraffin. The slides were stopped over the center of the tank and hand lowered to a certain point to dip the wicks into the paraffin. 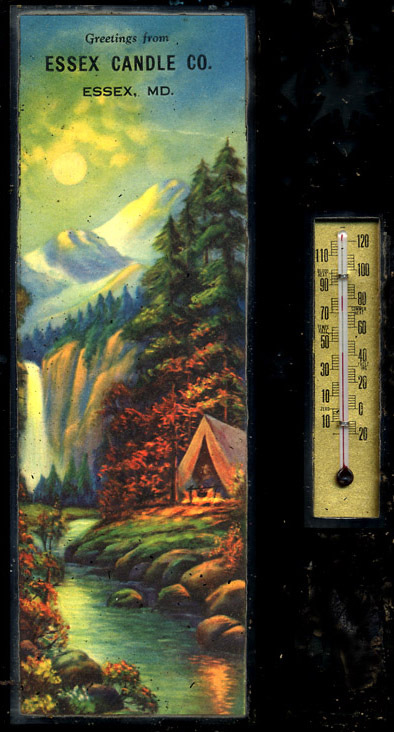 After dipping the tapers to a certain thickness, the boards from the machine were transferred to holders on the well so they could cool (off). 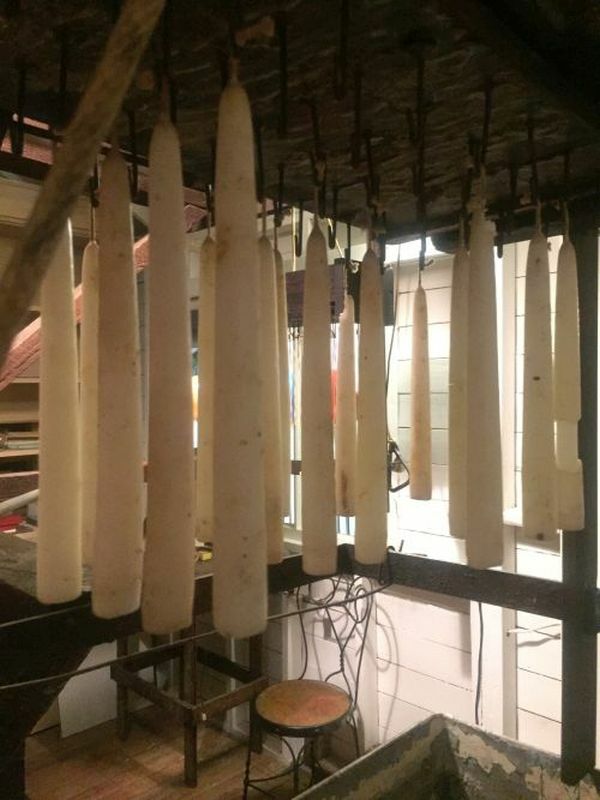 When the thickness of the tapers were reached, about 15/16 of an inch, they were taken off the boards, one dozen at a time, dipped into water to help cool them and put on a marble table and with measured sticks cut to proper length. They were now ready to color. The knowledge of using different pigments to make a certain color is an art in itself,” says Mr. Grupp. “Each taper was hand-dipped into hot colored paraffin, then dropped into water to harden the color and this also put a shine on the tapers. This taper was then taken out of the water and hand dried with rags made from paraffin bags. The knot was cut off and was ready to be packed. 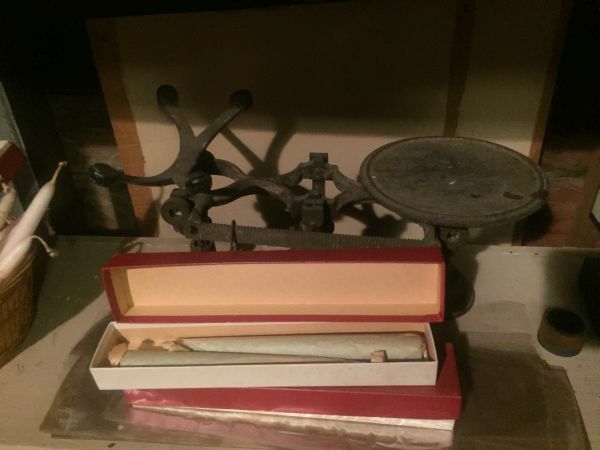 They were rolled individually into cellophane or tissue paper, both ends twisted and put into boxes that usually held one dozen tapers. 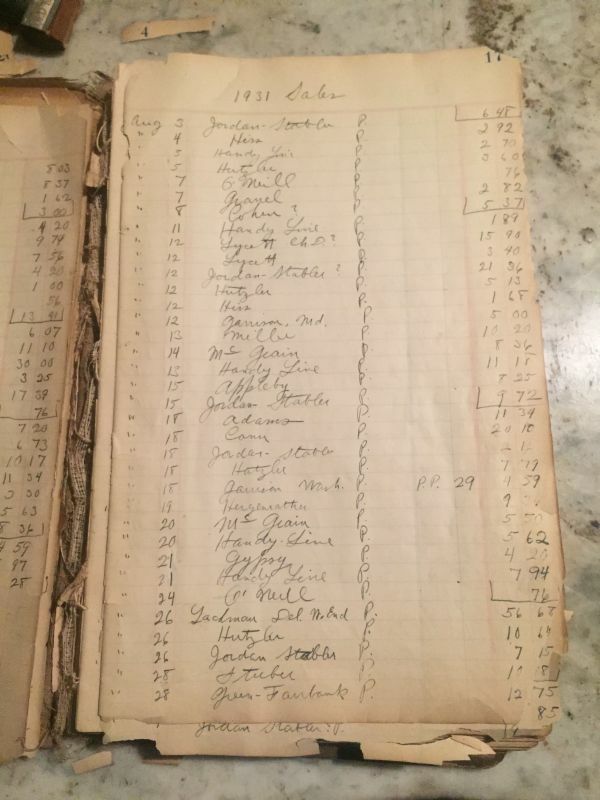 These boxes were hand-stamped with size, color, and company name then packaged for shipment,” concludes Mr. Grupp. 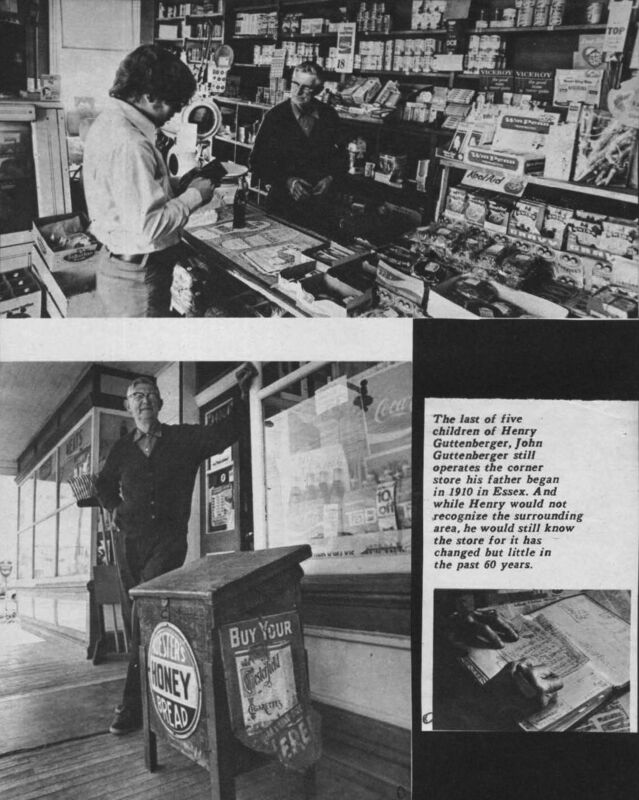 The average taper sold for 5 cents apiece. Mrs. Spaeth noted that today it would be too costly to produce tapers the way they made them. 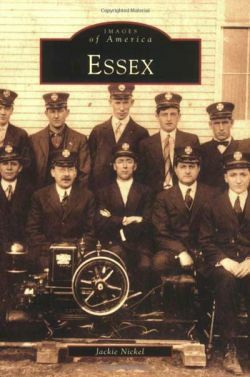 In 1969, Mr. Speath died and the Essex Candle Company closed its doors. 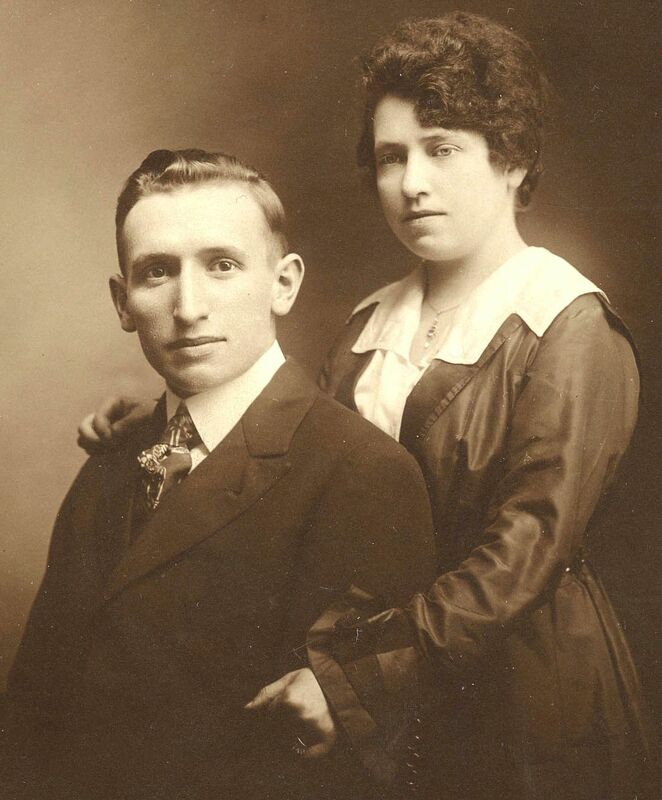 The Speaths were career partners as well as husband and wife, having built a successful business together. When her husband-partner died, Mrs. Speath closed down the candle operation because “it would not be the same without him.” To this day, she remains a widow living in the same house that they bought 40 years ago. 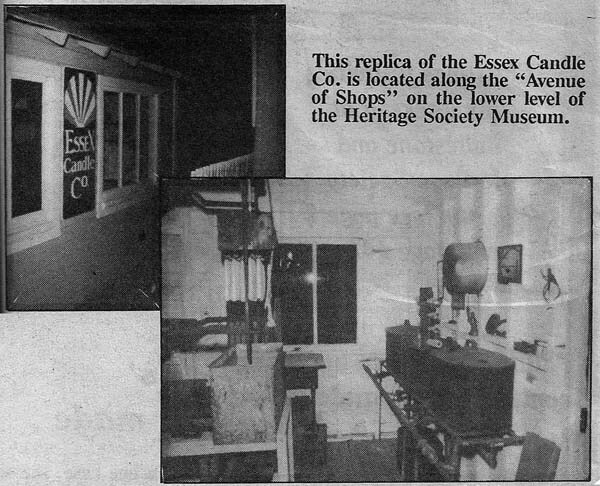 In 1975, Mrs. Spaeth donated the entire candle making operation to the Heritage Society of Essex and Middle River. 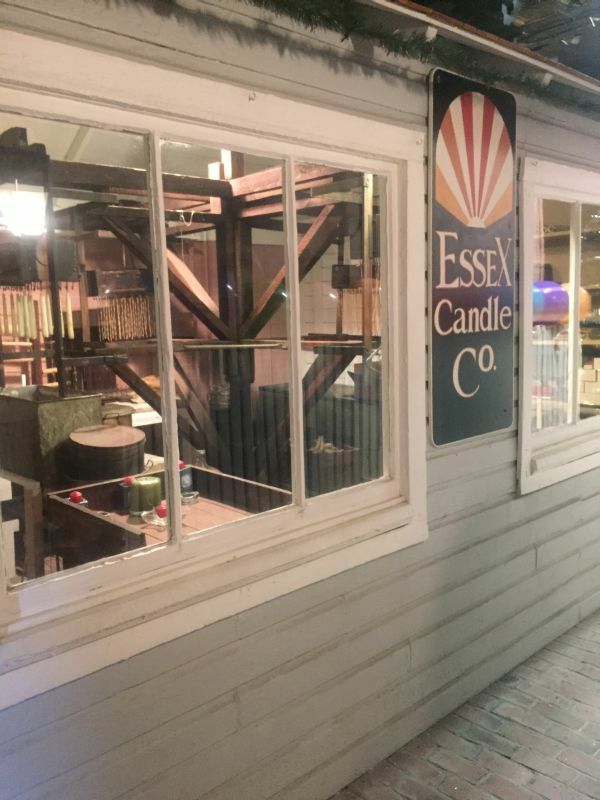 A replica of the Essex Candle Company is on display at the Heritage Society Museum. 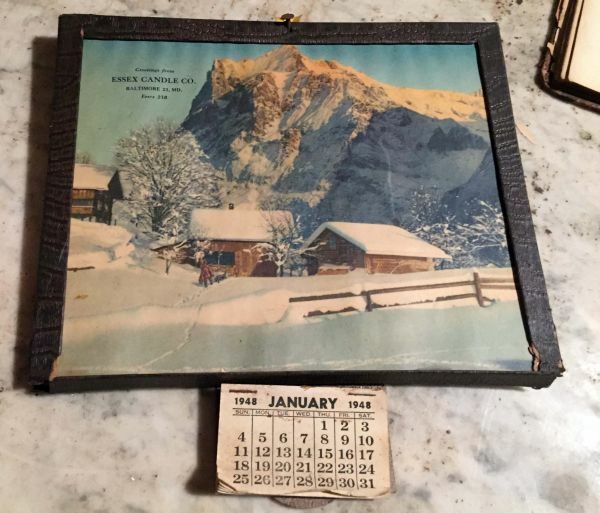 During the holidays bude would send Essex Candle Company calendars to customers and family members. 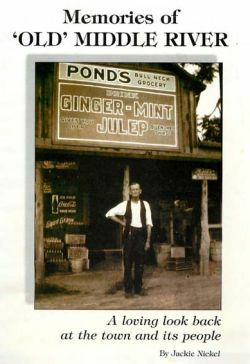 Roger Dahlin’s 2017 publication corrects some errors in genealogy in his 2002 research and contains considerable articles of provenance. 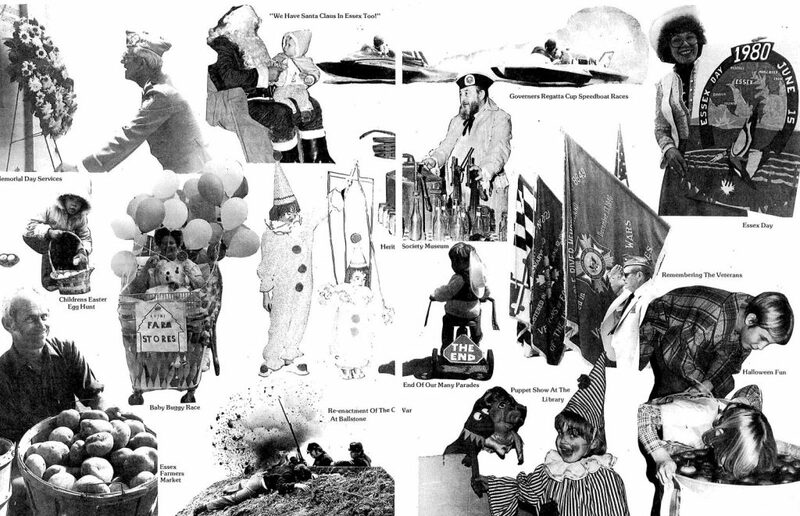 Roger Dahlin’s original 2002 family research. 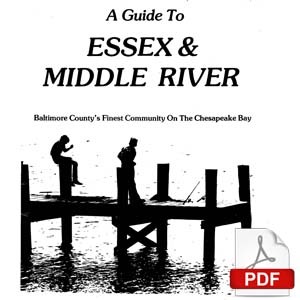 A Guide To Essex & Middle River, Baltimore County’s Finest Community on the Chesapeake Bay. 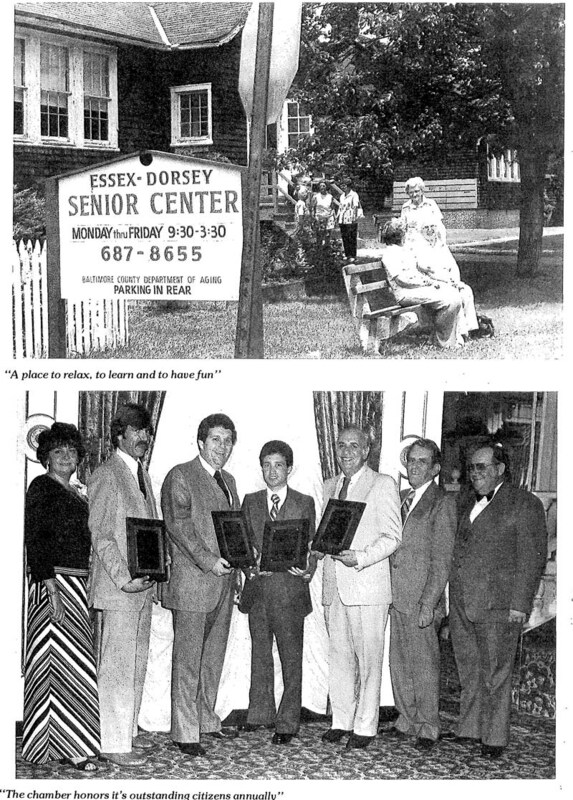 Published by The Essex-Middle River Chamber of Commerce in the early 1980s.